To customize your footer credits and contact form, please go to Appearance > Customize > Ignis Pro options > Footer. Contact form shortcode: use any contact form plugin you want and add its shortcode here. However, we recommend using Contact Form 7. 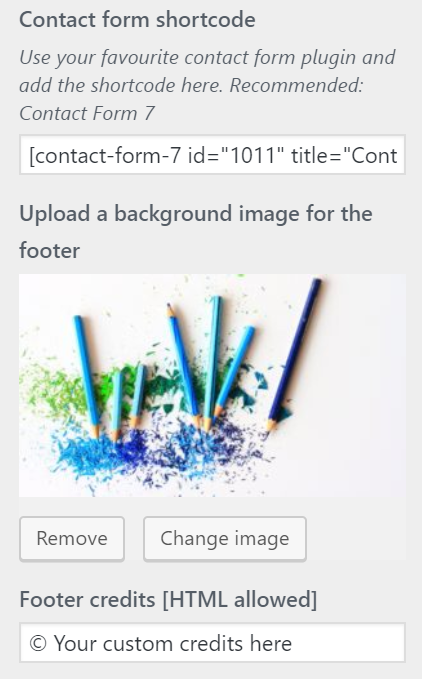 Background image: this option lets you add a background image that sits under your contact form and social menu. Footer credits: add your company's custom copyright here.